If nappy cakes just aren’t cutting it as a baby shower gift, take a look at these. Made from recycled bottle caps, Kate Grenier Designs eco magnets have just become available in Australia. Kate was raised in Montana and honed her trash-to-treasure style in her father’s barn workshop. She now works from a trendy studio in Seattle, designing an eclectic collection of art. The bottle caps are filled with vintage images and symbols, which Kate has collected over a number of years. 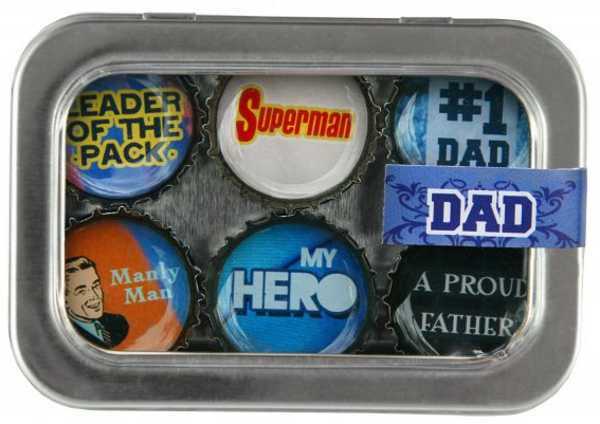 The magnets come in literally hundreds of designs, from ‘Mum’ and ‘Dad’ to ‘It’s a Boy/Girl’. 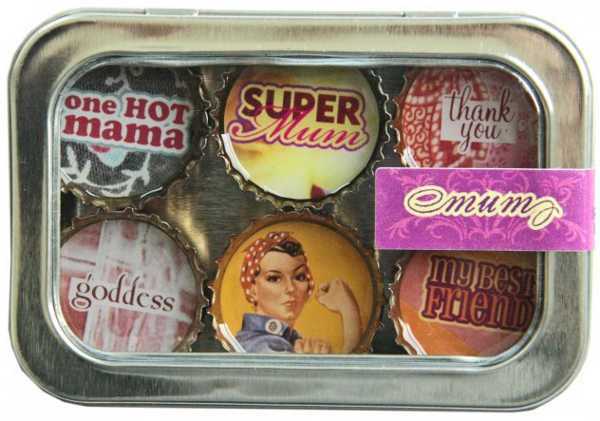 They come in a set of six, packaged in a vintage-inspired metal tin. If you’re keen to jazz up your fridge, or add a unique and fun element to a baby gift, you can purchase the magnets exclusively from Kindred Gifts for $24.95 a set.